Our Durafold 1000 aluminium bi-folding doors come with a choice of several different handles for the intermediate and traffic doors, all of which are available in a variety of different colours. This includes our Pendulum and Pendulum Nouveau handles, which can go on both traffic doors and intermediate panels, providing continuity an consistency. 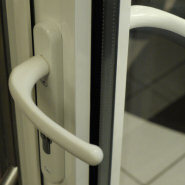 The Pendulum handle range also gives the option to have outside access without the need for a traffic door. Our traffic door handles are functional and easy to use, allowing for quick and easy inside and outside access. 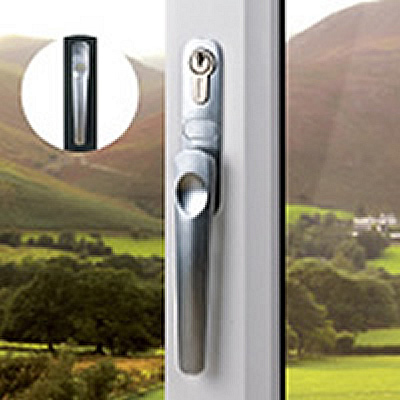 Both the Standard and Nouveau Handles come with high security Superior locking cylinders and operate high security multi-point locking. 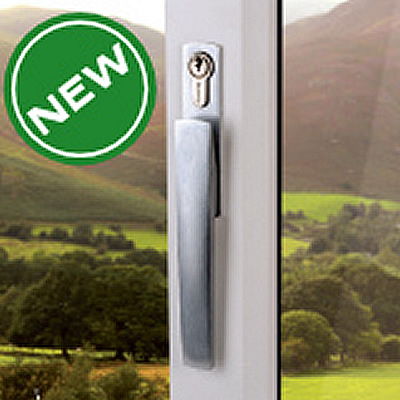 Our Pendulum handle is a smooth, sleek handle with a classic design. It is available on both intermediate styles and traffic doors. Strong and robust, it is capable of pulling in heavy panels without the need for additional D-handles. 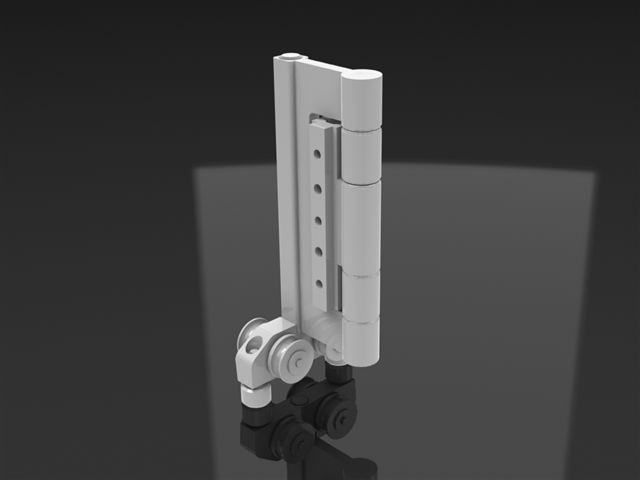 They drive shoot bolt locking and have a key locking facility as standard. 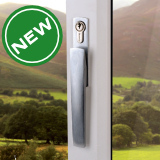 Our Pendulum handles are smooth, sleek handles, available on both intermediate styles and traffic doors. They are strong and robust making them capable of pulling in heavy panels without the need for additional D-handles. 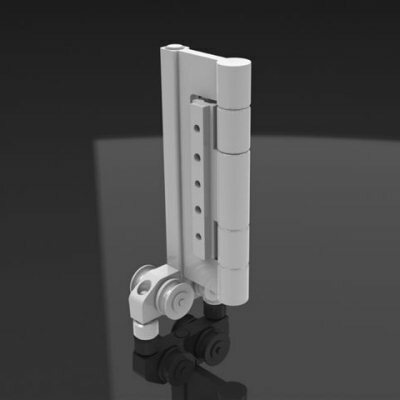 They drive shoot bolt locking and have key locking facility as standard. D-handles (seen left) are an optional handle, which is used in conjunction / addition to the intermediate handles. They are ergonomic design and easy to use. They are only on the inside of the doors and are integrated into the hinge, providing a solid hand-hold for pulling / sliding the doors open and closed. Four wheel bogie assemblies, travel on twin stainless steel tracks, delivering easy graceful operation. The bogie wheel assemblies support the full weight of the doors, so no matter the weight they slide beautifully. 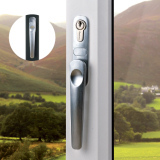 They have a dedicated guide which runs inside the outerframe, providing stability and increased security. Door configurations (styles) with traffic doors, maybe fitted with high strength buffer magnets. If required, they act to secure traffic doors to the adjacent panels, holding them in an open position. 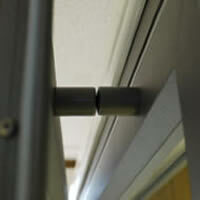 They also act as a buffer, preventing traffic door handles from knocking against adjacent panels. What Is A Traffic Door? - How Do I Get Inside And Outside Access? 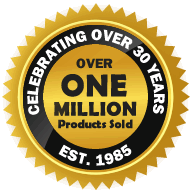 A traffic door allows quick and easy access from the inside and outside of your bifolding doors, without having to slide and fold any panels. Just as you would have with a conventional back door. 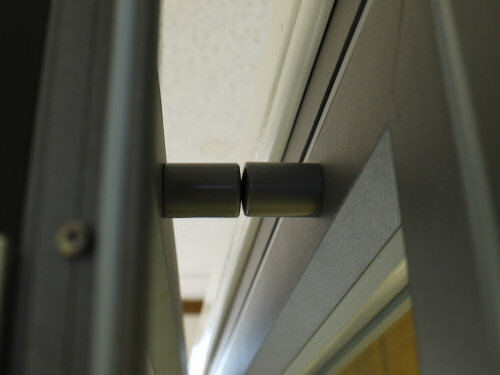 If your chosen style does not allow for a traffic door, you will have no outside access and at least two panels must be folded to open the doors. Bi-folding doors slide in two's, so an uneven number of panels folding in any direction will always result in an odd panel that can operate independently of the sliding panels. 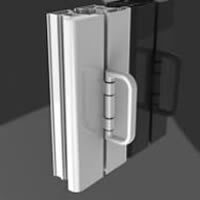 This odd (spare) panel is known as a traffic door, and offers quick and easy access from both inside and outside, using a standard lever-lever door handle. An even number of panels results in no traffic door or outside access.